In the first question, Kamal Nath attacks on health services of the state. 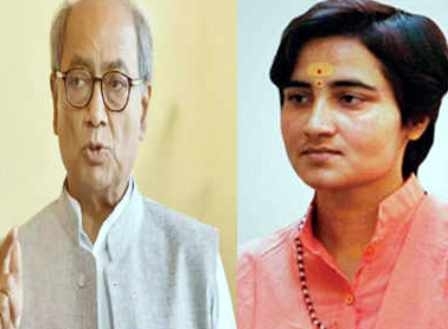 OCT 20 (WTN) - In Madhya Pradesh, 'fight' is continuing between the BJP and the Congress for the assembly elections. Voting is on November 28 in the state, before that the Congress, which has been away from power for 15 years continuously, is in the process of 'encompassing' the BJP through social media. 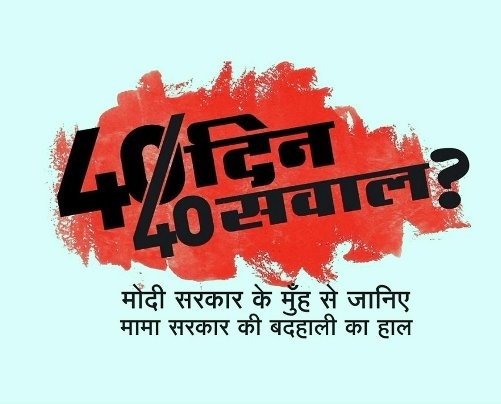 Madhya Pradesh Congress President Kamal Nath is now going to question BJP and Chief Minister Shivraj Singh Chauhan with 40 questions till the voting. Senior Congress leader Kamal Nath on Twitter today, i.e., from October 20 to November 28, will ask a question from the government every day. Kamal Nath says that he will 'expose' the ‘failure’ of BJP and Chief Minister Shivraj Singh Chauhan for 40 days in before the public. Today Kamal Nath has twitted the first question while targeting the Chief Minister Shivraj Singh Chauhan and the BJP. In his tweet, Kamal Nath has written, "Mama (CM Shivraj Singh Chauhan) and Minister’s are careless, why health services were demolished?" The Modi government itself is raising questions on the deteriorating health department condition of the MAMA government." In his tweet, Kamal Nath has mentioned the number of vacant posts in the health sector in the state. Kamal Nath has written, "1117 doctors are required at primary health centers but 817 vacancies are vacant. Obstetricians and feminine, pediatrician surgeon specialist should be 1236 but available is on;y 180 and 1056 doctors. 1413 posts of nursing staff are vacant. 136 posts of radiographer are vacant. 216 posts of the pharmacist are vacant. Laboratory technician's 430 post are vacant. Vacant post of female health worker in sub center is 2016. 2174 posts of Primary Health Center health workers are vacant. 5458 vacancies of male health worker in sub-centers and 628 posts of Health Assistant in PHC are vacant. "The Modi government says that Madhya Pradesh is the second state where the maximum number of health centers in 20 districts is in very poor condition. These districts are Dindori, Chhatarpur, Shahdol, Tikamgarh, Badwani, Panna, Sidhi, Jhabua, Alirajpur, Mandla, Damoh, Satna, Ashoknagar, Sheopur, Vidisha, Singrauli, Khandwa, Rajgarh, Guna and Singrauli "
In his first question, Kamal Nath has been able to ‘target’ Chief Minister Shivraj Singh Chauhan and BJP strongly. Now everybody has to wait for the answer given by Chief Minister Shivraj Singh Chauhan. These questions of the BJP will have to be answered, as the Congress plans to bring these questions in a planned manner to the common people through social media. Now, when the questions of Congress will reach in the general public, it is important that the BJP should answer these questions; otherwise the message will be passed in the public that the Congress allegations made on the BJP are 'right'.